Metrocentre is dedicated to providing men with the most advanced and precise vasectomy reversal surgery available in Australia with the Owen 3 Layer Micro-Surgical Vasectomy Reversal. The Owen 3 Layer Micro-Surgical Vasectomy Reversal is one of the few viable options available for men who have previously undergone a vasectomy and are now seeking to have children. Metrocentre invites patients who have been told nothing can be done to reverse their vasectomy or have had failed vasectomy reversal/s to consider a second opinion. 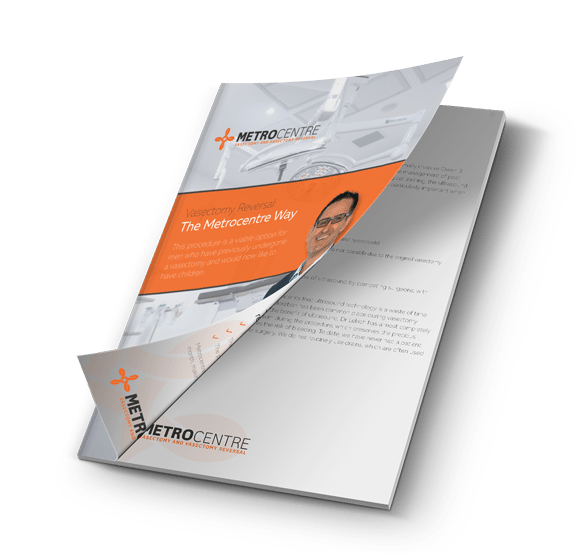 At Metrocentre currently perform around 25 Owen 3 Layer Micro-Surgical Vasectomy Reversal each month, making us one of the largest and most experienced clinics in Australia.